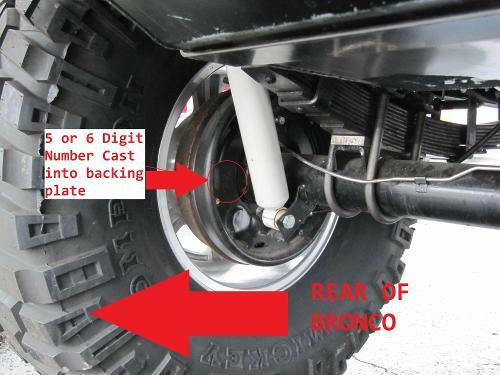 1966-1975 Ford Bronco Rear Drum Rebuild Kit. You must use your existing backing plates. - One new passenger side rear self adjuster kit. BACKING PLATE NUMBERS: It is essential for the customer to retrieve a backing plate number so that we can ensure you get the correct parts the first time. A photo has been supplied as to where to locate the backing plate number. These backing plate numbers are for 10" Drum w/ small bearing (2 7/8") setups. 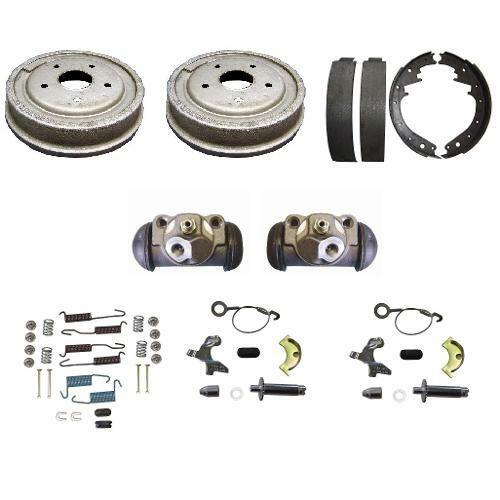 If your number is not listed here, please look at our other drum brake rebuild kits to see if the number is listed there. The picture is referencing to the driver side. There is also a number located in the same position on the passenger side if driver side is unreadable.